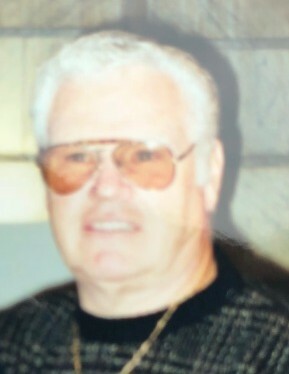 Michael Minovich, Jr., 84, of Egg Harbor and formerly of Roselle Park, passed away peacefully on September 7, 2018. Michael was a US Navy Veteran during the Korean Conflict where he served on the under-water demolition team. He retired after 25 years of service as a Sargent of the Newark Police Department where he commanded the Robbery Squad. Beloved husband of Joyce Minovich (Snowden) and the late Barbara Minovich (Vitolo). Devoted father of Michael Minovich, III, his wife Pat, Dianne Iandiorio, her husband Mark, Neil Minovich and his wife Theresa. Cherished grandfather of Barbara and Danielle, Nicole, Michael and Rosalie. Dear brother of Cynthia Foreman and Carol DeRosa. Visitation at the Leonardis Memorial Home 210 Ridgedale Ave. Florham Park on Monday from 4-8pm. Funeral on Tuesday assembling at 10am followed by a service at the funeral home at 11am. Interment at Gate of Heaven Cemetery in East Hanover.